The company Playson, has released a slot Zombirthday, dedicated to the celebration of the birth of a zombie. The game takes place in an abandoned cemetery. Among the symbols, you will see: a zombie, his girlfriend, a dog, and others. In the game Zombirthday, there are 10 lines and five reels. The goal of the game is to form winning combinations of characters of the same type, arranged in a continuous sequence on the line. 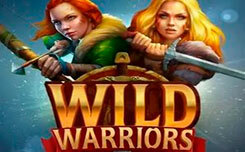 Wild – a zombie, replaces other images, for the formation of profitable lines. Combinations in which zombies are present bring a triple reward. Scatter is a zombie friend. 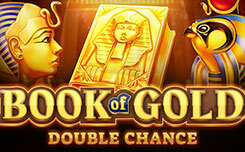 When a pair of identical images falls on the playing field, multipliers are brought in for the total bet. 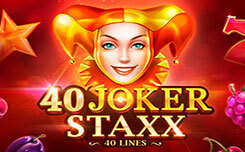 At least three scatterers run 15 free spins. 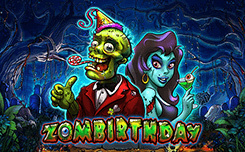 Slot Zombirthday, will give an unforgettable impression of a close acquaintance with the world of zombies. Also, developers promise a high percentage of return.